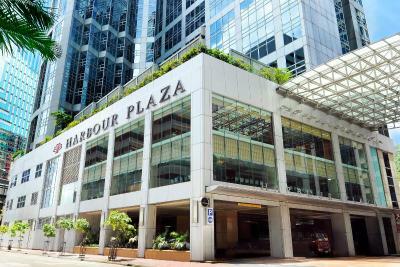 Lock in a great price for Harbour Plaza North Point – rated 8 by recent guests! 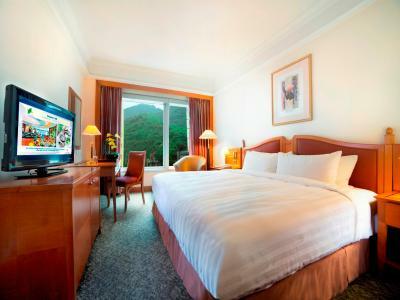 There are two great things about this hotel: - it is close to a subway station (literally 3 minutes walk) - room size is not too small, as most of hotels in this range in the center of the city in other words, you are trading not living in HK island center for having room of a decent (HK-wise) size. And it is not not much of a sacrifice, cause it is close to the subway. The hotel is beautiful, the room and bed were comfortable, and the location was very convenient. Free shuttle bus to airport express. 3 mins walk to the subway entrance. Starbucks and a food store right in front on the other side of the road. Great staff, solid wifi connection ( free for 2 devices per room? ), Clean room with decent size. Comfortable, spacious suite with a partial view of harbour. 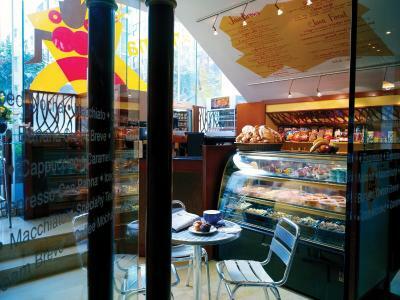 Right across the street from a Starbucks and grocery store, a couple minutes from Quarry Bay Metro. Staff were quick to respond to requests for ice or extra towels. Room size is nice! Value for price is very good. Very convenient to the MTR transit system only a block away. Plenty of places to eat near by and grocery store across the street from the hotel. Makes it very comfortable to stay here. Harbour Plaza North Point This rating is a reflection of how the property compares to the industry standard when it comes to price, facilities and services available. It's based on a self-evaluation by the property. Use this rating to help choose your stay! 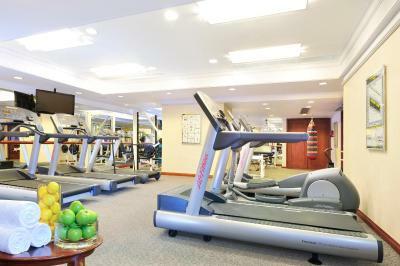 A minute’s walk from MTR Quarry Bay Station (Exit C) on Hong Kong Island's Eastern District, Harbor Plaza features a fitness center and 100 feet outdoor pool. 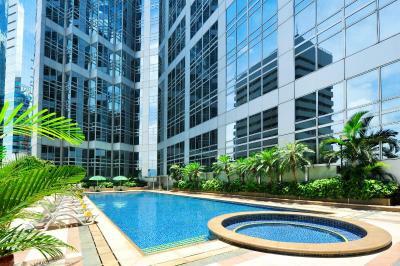 Its rooms offer harbor, city or hill views. Four restaurants are available. Harbor Plaza North Point is a 5 minutes’ driving time from Cityplaza shopping center and a 10-minute drive to Causeway Bay and Hong Kong Convention & Exhibition Center. The hotel provides a free shuttle service to Taikoo area. Hong Kong International Airport is a 45-minute drive away. 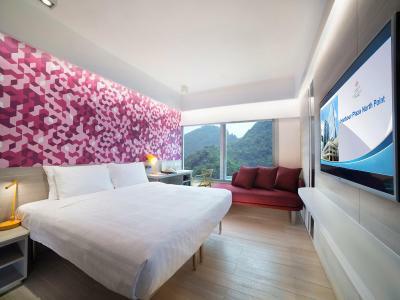 Guests can also use Airport Express Shuttle Bus Service to Hong Kong Station to take the Airport Express to the airport. 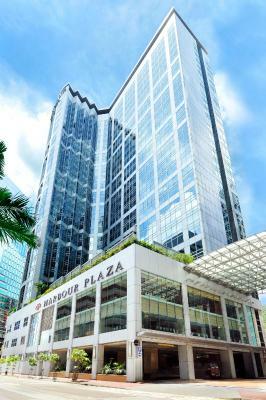 When would you like to stay at Harbour Plaza North Point? Room offers views of King’s Road. 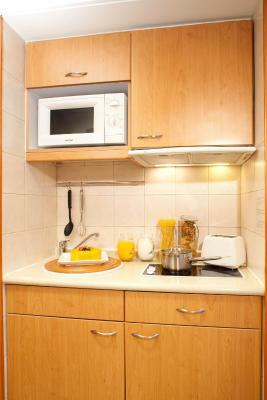 Comes with a tea/coffee-making facilities, TV and private bathroom. Please note that the third person will be accommodated in an extra bed if guest books a 3-person rate. Room overlooks the eastern side of Victoria Harbour. Comes with a tea/coffee-making facilities, TV and private bathroom. Please note that the third person will be accommodated in an extra bed if guest book for 3-person rate. Spacious suite with separate living and dining area, kitchenette and partial harbor view. Fax machines and DVD players are available upon request. This quadruple room has a electric kettle, bathrobe and tea/coffee maker. This room offers views of King's Road and comes with a tea/coffee maker, a TV and a private bathroom. 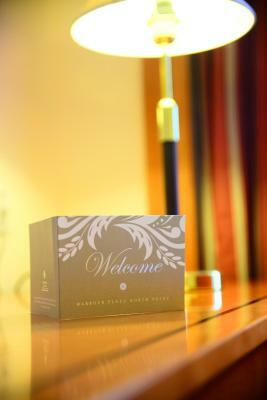 Please note that if guests book a rate for 3 people, the third person will be accommodated in an extra bed. Tastefully appointed, the Premier Rooms are the epitome of urban dwelling with elegance, offering a bright, ample hillside view. The clean and sleek rooms combine comfort living with classy and refined decor featuring designer chair and an artistic feature wall, giving guests’ stay a stylish yet homey touch. Each room is equipped with a chic chaise longue for guests to sit back and relax, while it can also be transformed into a bed to accommodate an extra accompanying guest for a delightful and cozy stay. 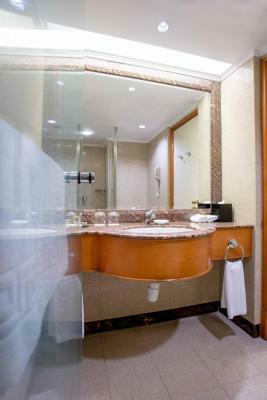 Deluxe Hill View Rooms are located on 11/F or above, including either one double bed or two single beds with greenery hill view offering you comfortable and cozy surroundings. This twin/double room has a satellite TV, air conditioning and seating area. This twin/double room features a cable TV, seating area and bathrobe. This twin/double room has a mountain view, flat-screen TV and air conditioning. Experience lifestyle in the city at Harbour Plaza North Point. The hotel is uniquely placed to take advantage of transport networks on Hong Kong island. Whether you are just passing through or intending to stay with us for longer, we'd like you to make this your home away from home. 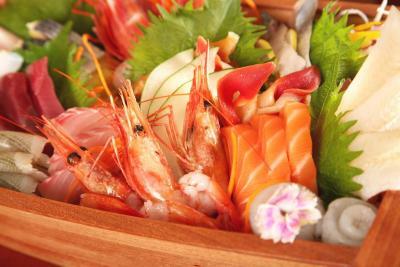 If have stayed or dined with us before, please let us know what you liked best. 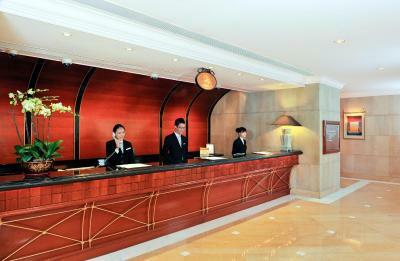 If you have not been our guest before, explore our hotel with our guided tour. Hotel surroundings – This neighborhood is a great choice for travelers interested in local food, clothes shopping and food – Check location Good location – show map Guests loved walking around the neighborhood! 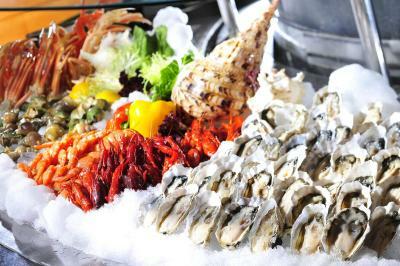 House Rules Harbour Plaza North Point takes special requests – add in the next step! Harbour Plaza North Point accepts these cards and reserves the right to temporarily hold an amount prior to arrival. Please provide credit card holder's name in English letters. Each guest name is allowed to reserve maximum of 3 rooms. Please note that a deposit in cash or credit card (which allows hotel to obtain pre-authorized code) per room per night may be charged upon arrival in order to enjoy the signing privileges during the stay in the hotel. This deposit is fully refundable upon departure after deducting the consumption. Please present the same credit card used to pay or guarantee your booking when checking in or making payment at the hotel. If you are making payment or guaranteed by using another cardholder’s credit card, please kindly contact the hotel in advance for payment arrangement. Contact details can be found on your booking confirmation. Please note that for nonrefundable bookings, no cancelation or modification is allowed, especially staying guests' names. Also, the for nun-refundable bookings, the full amount including 10% service charge will be collected before the arrival date. 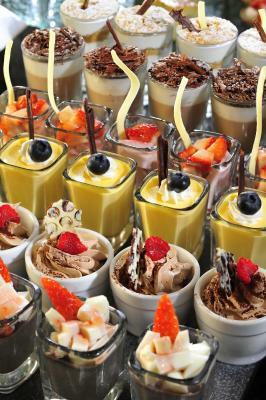 Please note that extra cost will be applied for the purpose of group events or parties, including pre-wedding stag / bachelor and hen / bachelorette parties and Chinese pre-wedding ceremony (Room rate is subject to 10% service charge). Please note that bookers are required to offer each guest name instead of offering only one name when reserving more than 1 room. When booking more than 5 rooms, different policies and additional supplements may apply. Please note that in-room broadband or WiFi internet connection is free of charge. Airport Express complimentary shuttle (route number H4) is available between Harbor Plaza North Point and Airport Express Hong Kong Station. Room furniture is old. Almost no plugs in the room. 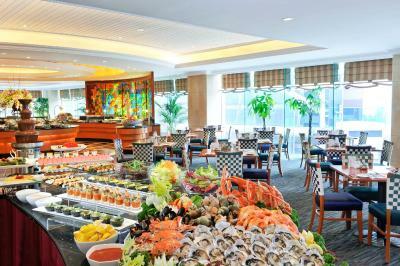 Excellent staff, large rooms with great view of the harbour. The rooms are well equipped with robes and coffee machines. The hotel is spotless and well worth the money. Great if you want to treat yourself. Tai Too mall and MTR are 5 meters from the door. The behavier of receptionist. The payment system . Again, Booking don' t make the payment and is was obligate to pay cash.Also they don't accept VISA Debit Card. Air con in the room was very noisy. Can’t sleep well. Great location. Close to MTR. So easy to go anywhere. 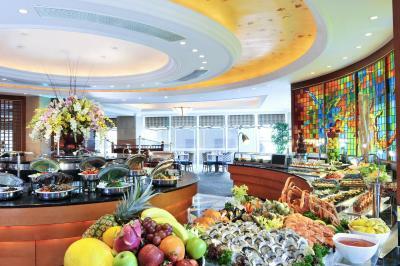 Pool needs a bit of a revamp.. and the breakfast buffet could be a bit more extensive. It was not pleasant to find the Hong Kong Funeral Home is next to the hotel on arrival. Probably the hotel should mention to take Exit C at Quarry Bay MTR to reach the hotel. Then there is less a possibility for guests to know the dead and grieving are in the next block. Our glasses were not properly washed after we had used them. We were upgraded upon arrival. The room was spacious compared to other hotels in Hong Kong and it was also very clean. the location was the best - about 5 minutes walk form the Quarry Bay MTR station which gave us peace of mind walking back from our excursions at 9pm. McDonalds and Starbacks are just was walking distance from the hotel. The staff facilities and everything I love it! Very convenient location & friendly staff. Breakfast was very good with excellent variety. Location was further out than the website suggests. Exceptionally slow check in/ out.